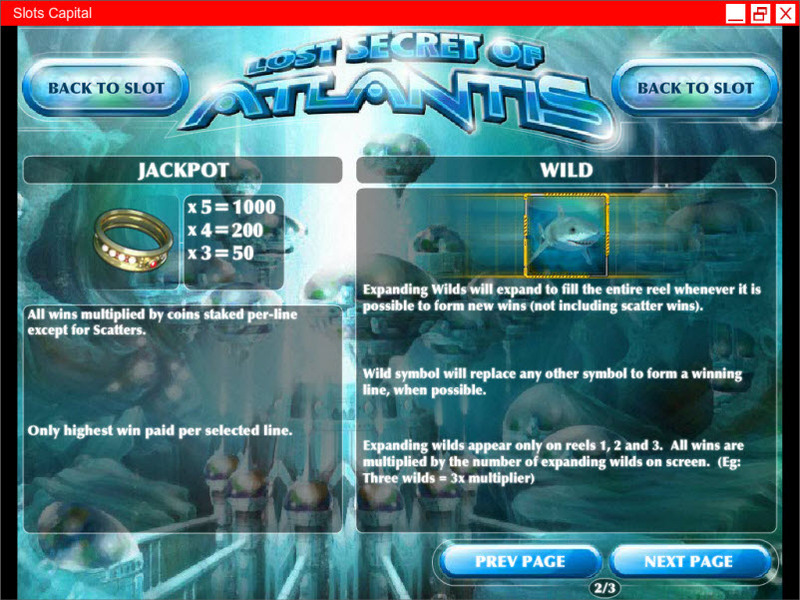 Overview: Explore the ocean's depths in search of a hidden city with the Lost Secret Of Atlantis, Rival's latest 5 reel slot. 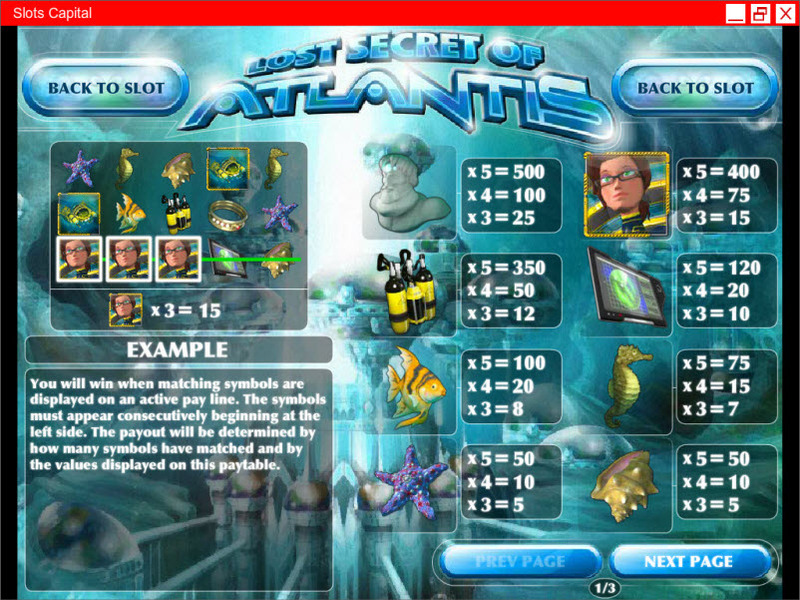 Join the Explorer in her Submarine as she uses a GPS and Oxygen Tanks in a quest to discover Atlantis. Undersea icons include a Shell, a Starfish, a Seahorse, a Shark, a Tropical Fish, and a Sea Creature. Remaining icons include a Crumbled Ancient Statue, and a Golden Ring. 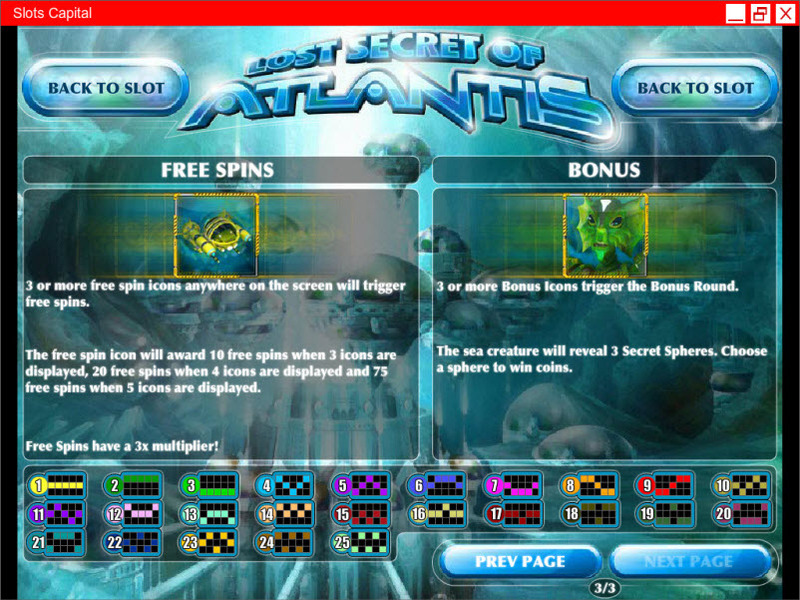 Three or more Sea Creature icons anywhere on the screen will trigger the Bonus Round. The creature will reveal 3 Secret Spheres - choose one to win coins. 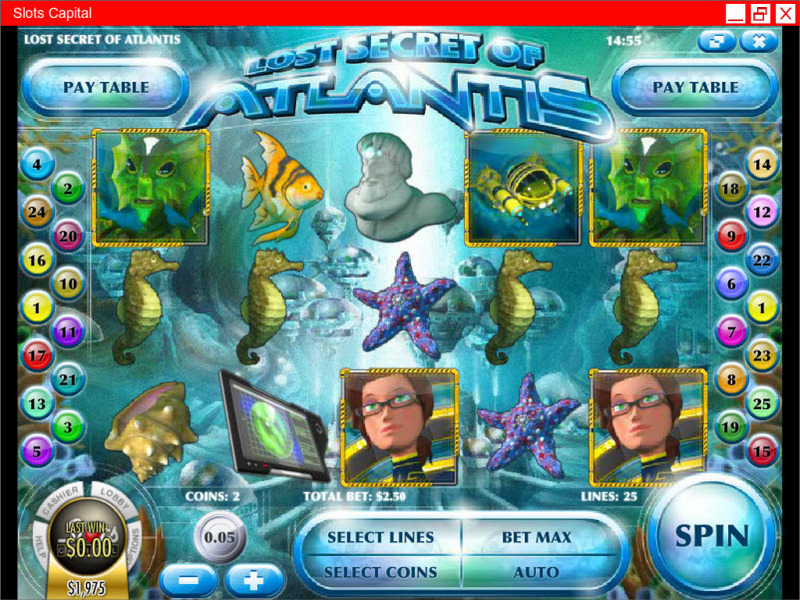 Similar Slots: If you like Lost Secret of Atlantis, you might like these other Rival video slot machines: Aussie Rules, Candy Cottage, Fast Lane, Future Fortunes, Grandma's Attic, Love and Money.